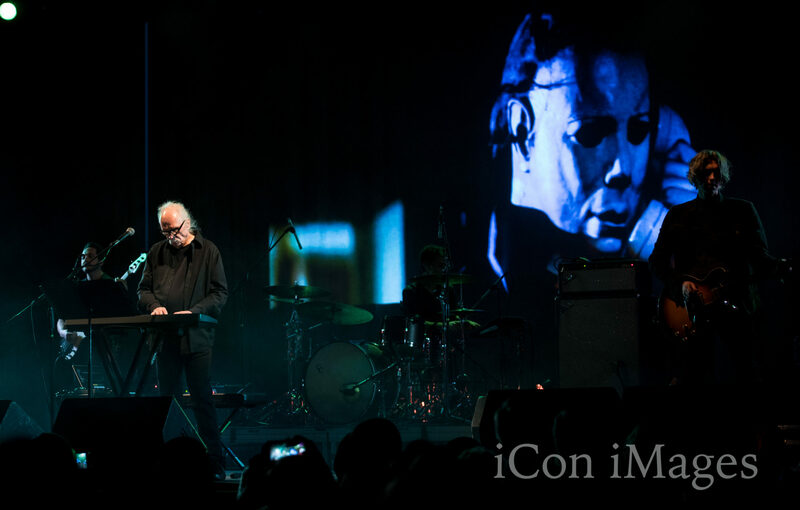 John Carpenter is a man who really needs no introduction. You like movies? Yeah? Genre movies? Yeah? 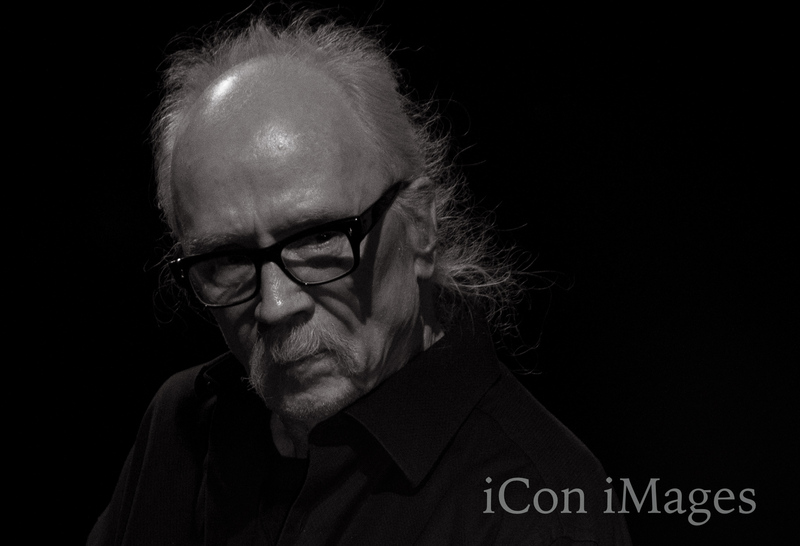 Then you know John Carpenter. Crowned a master of horror by cinephiles, Carpenter has been delivering pop-culture classics since the ’70s. Titles like Halloween, Big Trouble in Little China, and Escape from New York are genre staples and household names, even decades after their release. From the sharp, dark humor of They Live to the film that tops all horror movie lists worth their salt, The Thing, Carpenter’s style is as effective as it is timeless. But he hasn’t only been influential as a filmmaker; he is also an influential composer. An early adopter of synth in his scores—something done for budget concerns instead of stylistic ones—he is a man whose brooding, pulsing soundscapes have had a lasting impact throughout electronica. Carpenter’s movie themes encapsulate the essence of the ’80s and ’90s, steeped in nostalgia but never reliant on it. It was the nostalgia piece I was hesitant about when first hearing about the Anthology Tour. The sort of Carpenter fans who would go to a show like this would presumably have seen his films ad nauseum and own the soundtracks. Sure, there is something to be said for the live performance element, but when the driving force behind your music is keyboard synthesizers, live shows can be tricky. The Anthology tour offers different ticket packages in the standard spread: a meet and greet, which gets you a few autographs, early venue entry, and some tour swag; a VIP package that gets you the swag plus special seats; and general admission. At Myth Live in Maplewood—a questionable venue for a show that would have been much more suited to, say, the Orpheum or State Theater in Minneapolis—people who paid for the meet and greet met and greeted . . . and then were asked to leave the venue for setup. Some of those people ended up standing outside for close to an hour, a problematic situation on a cold November night in Minnesota with temperatures into the 20s and no assigned seating. But aside from some complaints about the cold peppering the excited chatter, it didn’t seem to chill the audience’s enthusiasm. 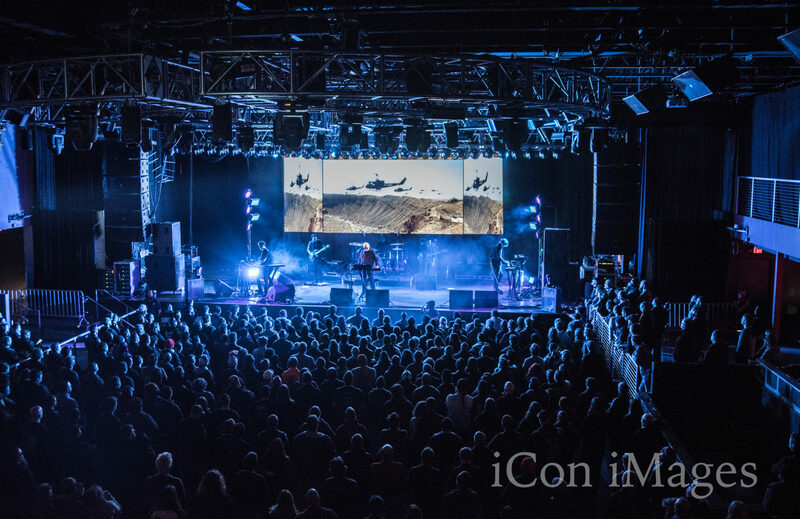 Once inside, the audience was treated to an excellent selection of preshow music and their accompanying videos on screens around the venue: Concrete Blonde, the Cure, David Bowie. With such an excellently curated playlist presented by Minneapolis DJ Jake Rudh, it seemed a hard act to follow. The stage was set up with a giant screen as a backdrop and two guitars, a bass, drums, and three synths in front. The show opened to the theme from Escape from New York, a stylized outline of the New York City skyline bleeding across the screen; for this song, and most of the others, clips of the relevant films were shown. An obvious benefit to Carpenter being both the director and composer was that the edits were perfect—cheesy when merited, terrifying when necessary. Of course, the themes from his most popular films were wildly received. 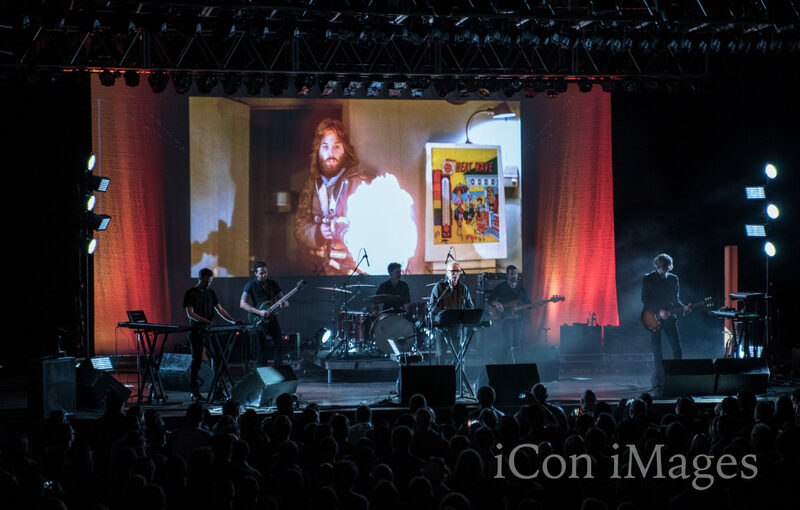 The musicians, including John Carpenter’s son, Cody, and lead guitarist Daniel Davies, brought a fantastically human element to the show. All renditions of the themes were specially arranged for a concert setting, but they never strayed too far from the source material—a difficult balance to strike, between fresh and familiar. Carpenter himself was gleeful; his enthusiasm and energy was infectious. It was an honor to witness someone doing something they so genuinely love for people who love it back. That is what has made both Carpenter’s films and music so timeless. But the best moments of the show were tracks from The Lost Themes, songs that Carpenter says are the soundtrack to a movie that exists in your mind. Without accompanying video clips, without Snake or Michael Myers, without aliens or Christine, The Lost Themes were clear proof that this creator’s cultural endurance isn’t relevant just because it’s nostalgic—it’s relevant because it’s great.